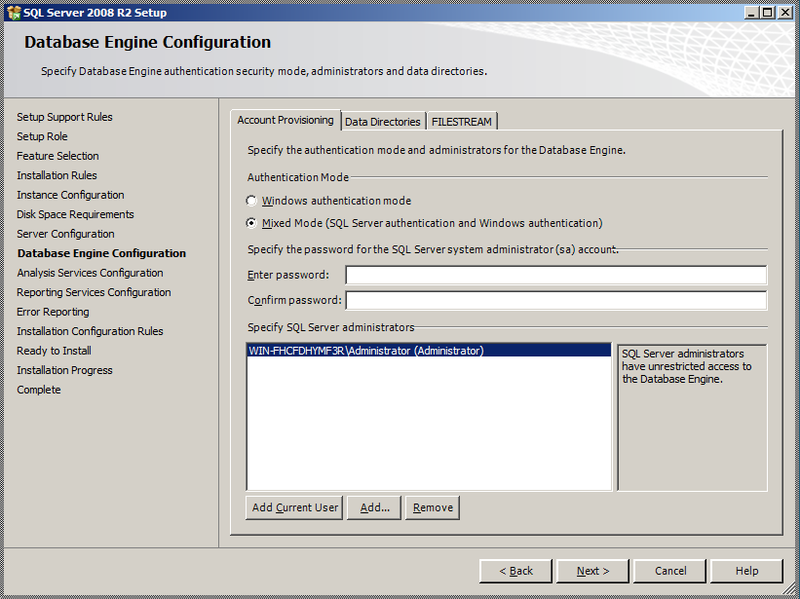 You may come across SQL Server credentials in any number of ways. You may even log in with the default credentials (user: sa, password blank). Once you get in, what do you do? The great thing about Microsoft SQL Server is once you get in, that often means a system level account on whatever machine you are on. There’s a nifty xp_cmdshell command that allows you to run whatever command you want as if you were at the command line. For this setup, I installed Windows Server 2008, ran all the updates, and then installed SQL Server 2008. I left everything at default values except to enable the sa user rather than just Windows authentication. As mentioned above, while it isn’t necessarily recommended to enable the sa account, it is often enabled anyway. Sometimes without any kind of strong password (like a null password). As you can see, port 1433 is open, so we have our testbed database server up and running. You can use the nmap scripts ms-sql-brute or ms-sql-empty-password depending on what you are looking for. You can also use the Metasploit module auxiliary/scanner/mssql/mssql_login. Both nmap and Metasploit have all sorts of scripts dealing with MS SQL Server. Again, both nmap and Metasploit have scripts to do this, but for the purpose of this article I’m going to use the Microsoft SQL Server Management Studio (free to download). — To allow advanced options to be changed. This of course will not work if your MS SQL user doesn’t have system level privileges. Other ideas to be more stealthy include simply using disabling anti-virus and using wce to grab credentials already on the system. Also, don’t forget to grab the password hashes (Metasploit makes it easy with /auxiliary/scanner/mssql/mssql_hashdump). This entry was posted in practical hacking and tagged mssql, sql server, xp_cmdshell on January 10, 2013 by admin.